Home » News » Events » What Does It Take to Become a Dispute Resolution Lawyer? What Does It Take to Become a Dispute Resolution Lawyer? Are you a law student and have a vision of yourself standing suited-up in the courtroom or in meeting room getting your client’s opponent to admit defeat but don’t know how to get there? 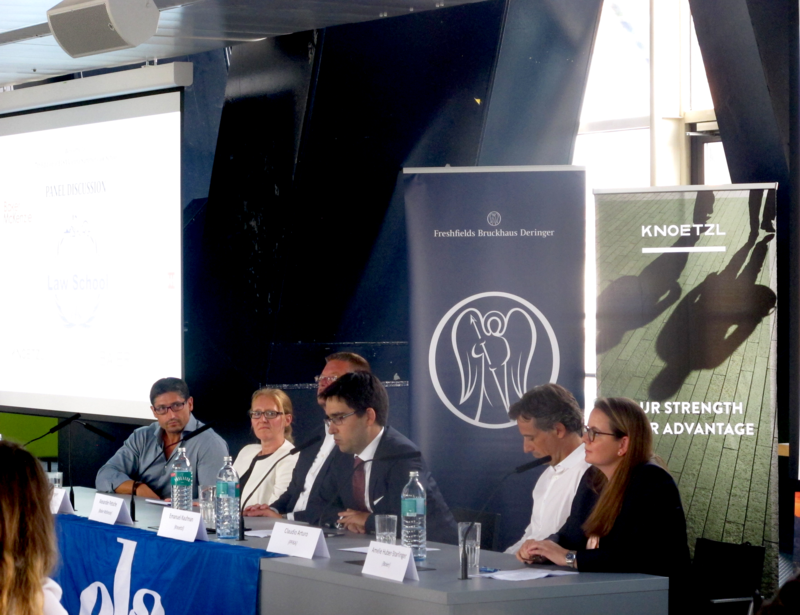 On August 1st, six high profile lawyers from Baker McKenzie, Baier, Freshfields, PFKA, WilmerHale and KNOETZL’s Emmanuel Kaufman shared their stories at a panel discussions at Vienna’s Juridicum of how they got to where they are today along with some advice. Over 40 students from various countries attended the 7th edition of the Dispute Resolution Summer Law School with the topic of Design Your Future, which was organized by ELSA Austria and was moderated by Adi Bikic from the University of Vienna. How to spice-up your CV? Emmanuel Kaufman also suggested to be involved in organizations like the Willem C. Vis International Commercial Arbitration Moot an annual competition for those interested in arbitration. He reinforced, as did the other lawyers, the necessity of networking. Your friends at college might become your clients one day or maybe even your co-counsels and your reputation will travel by word-of-mouth. The panelists emphasized that a client-lawyer-relationship is always based on trust first. You need to establish a personal connection in order to convince your client that you can win the case. And while you may have your plan all laid out to climb the career ladder, be sure to keep your eyes open for opportunities that arise suddenly. Adapt your plans if necessary to work with a mentor and surround yourself with people who will be your cheerleaders. It is inevitable that you will make mistakes and that’s okay. Get up, dust yourself off and move on! Follow your gut feeling when making decisions. In the end, you need design your future career in a way that will make you happy. It’s your life! Make it happen and enjoy the ride!